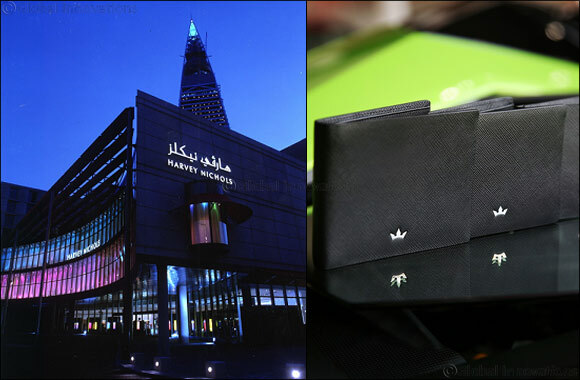 Dubai, UAE, February 20, 2017: Roderer, a Dubai-headquartered luxury brand, have partnered with Harvey Nichols Riyadh. The luxury, leather good and accessories brand, will showcase a range of bespoke accessories available at Harvey Nichols Riyadh, in the prestigious Al Faisaliah District, in Riyadh, Saudi Arabia. The collaboration highlights the increasing growth of Roderer as a designer brand and marks its first major venture into Saudi Arabia, one of the leading markets for luxury brands in the Middle East. “Being the largest country in the region in terms of size and demographics, Saudi Arabia represents a hugely significant luxury market and today witnesses an increasing number of leading brands doing business here,” said Oliver Birault, CEO of Roderer. Saudi Arabia’s capital has long been a destination for luxury shoppers, visiting from neighboring GCC countries and the world. “The increasing appetite for luxury brands in the Kingdom is being driven by the growing number of affluent travelers who are highly fashion savvy, well-traveled, and now demand goods of the highest quality. Another indicator of the luxury sector’s health is the rapid increase of retail space and Roderer is proud to enter the market in partnership with Harvey Nichols with a shop-in-a-shop concept,” continues Birault. Roderer's range of bespoke products include a spectrum of wallets, business bags, key holders and business card holders in a variety of textures, styles, colours and finishes to match the individuality and style of the patrons. Currently the brand offers their leather goods in five different leathers: Milano, Roma, Saffiano, Torino & Venezia.